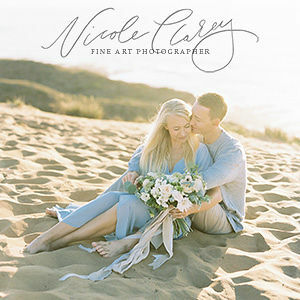 Tucson wedding photographer AS EVER PHOTOGRAPHY always lights up our pages with her beautiful shoots from the desert and this one is no exception! 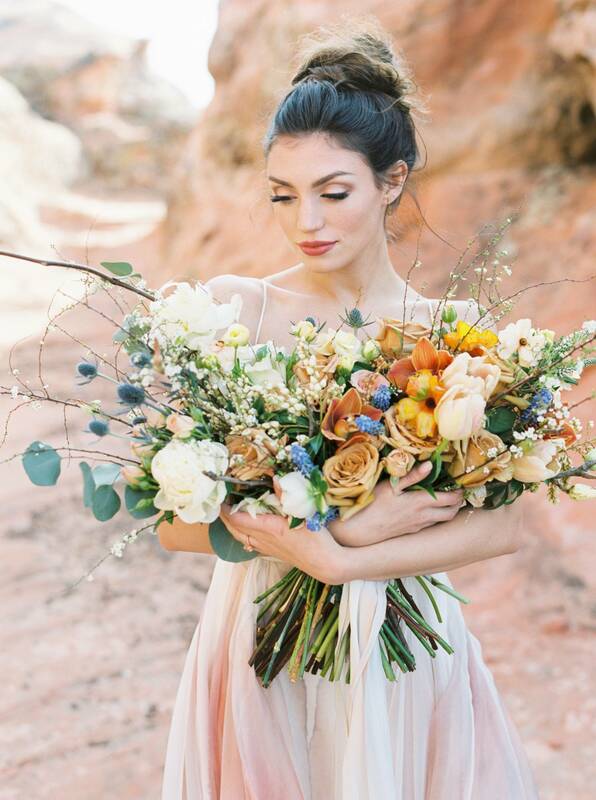 Inspired by LEANNE MARSHALL'S beautiful Soleil gown, with it's blush and mauve printed silk, they captured it amongst the russet-hued boulders of the Utah desert and paired it with the most jaw-droppingly gorgeous bouquet by THE POTTED PANSY. 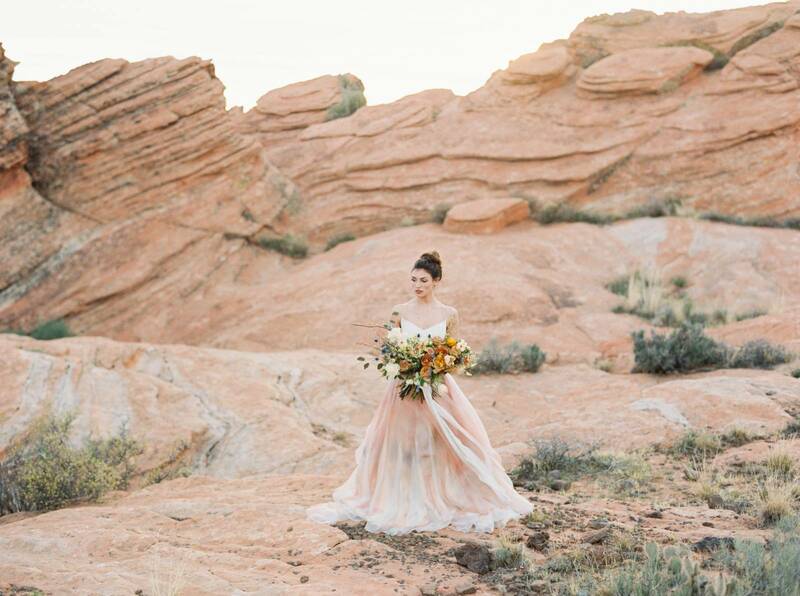 "The stunning design of the gown inspired us to create a desert elopement with a fine art aesthetic. The Desert Watercolour palette, an homage to both the rust of the rocks and the blue of the water that created this landscape, was woven throughout the table decor, cake, invitations, & bouquet. The statement bouquet by comprises toffee & cappuccino roses, butterfly ranunculus, tulip magnolia, thistle, & muscari, both harmonising with & contrasting against the colours of the gown. All images were captured on medium format film, adding an element of softness to the rugged environment & creating a fine art aesthetic. 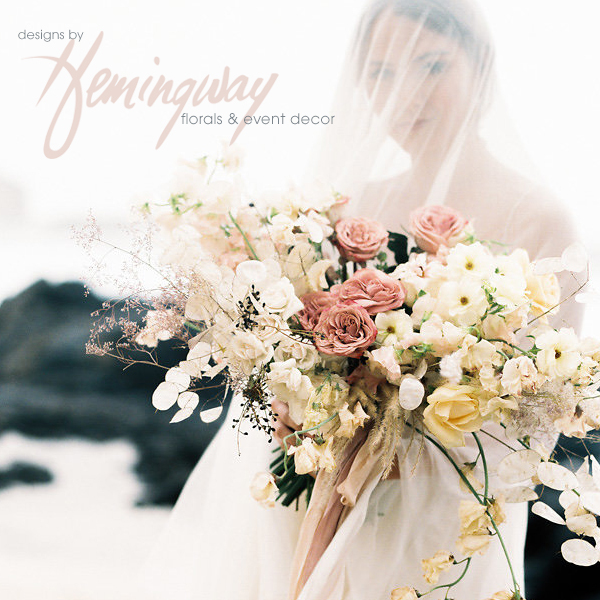 The resulting dreamy images invoke an intimate, bespoke elopement for a bride who appreciates the grandeur of nature & elegant details." 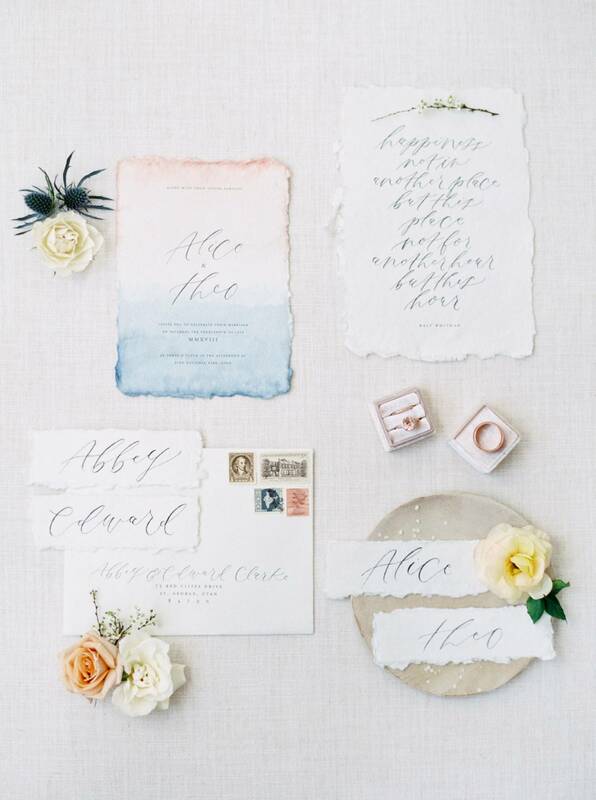 A huge thanks to Tucson wedding photographer AS EVER PHOTOGRAPHY for sharing this stunning bridal inspiration with us. 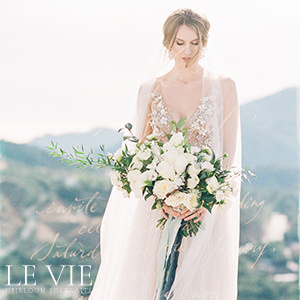 Based in Tucson, Arizona Jen is a fine art wedding and portrait photographer creating bespoke, timeless imagery. 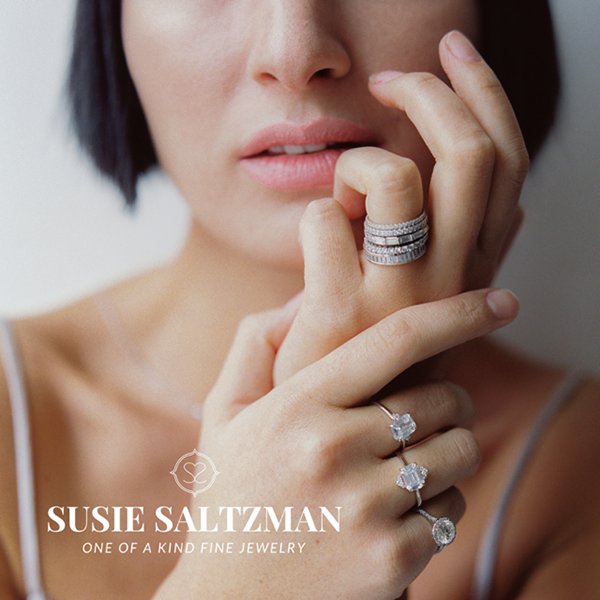 She travels worldwide both for events and for leisure and has lived in Europe and the U.S. 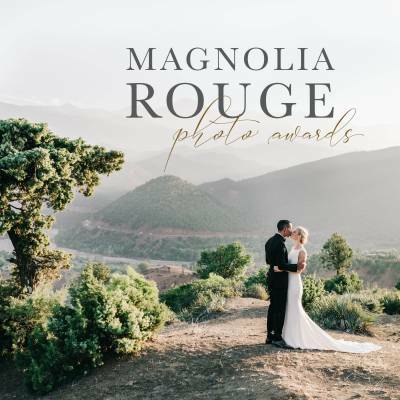 If you're looking for a Tucson wedding photographer you should definitely check out her work in her portfolio here. You should also check out this Striking minimalist bridal shoot inspired by a Scandinavian aesthetic that she also captured. I have been seeing this everywhere and I am so in love! All the pictures are awesome. I can see the beauty of the place chosen by you in the photos. The girl is looking stunning in the dress. Thanks for sharing.